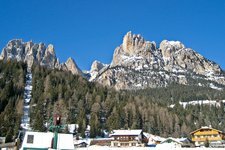 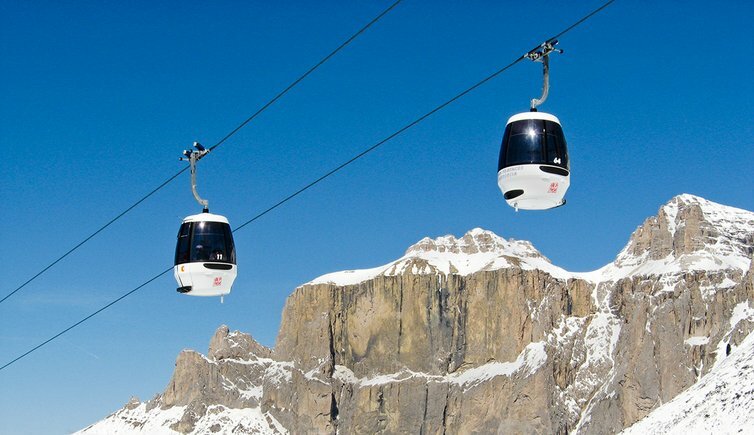 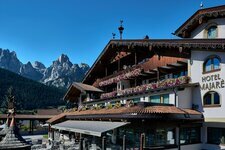 The skiing areas in the Trentino are surrounded by the majestic peaks of the Dolomites. 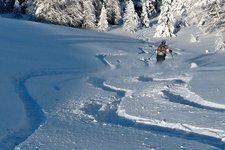 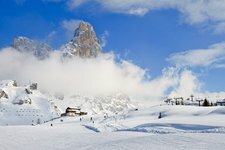 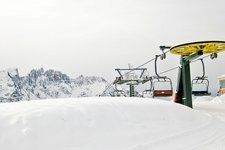 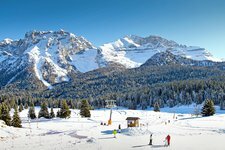 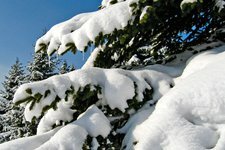 In the large ski carousels like “Skirama Adamello Brenta” or “Dolomiti Superski” you will be spoilt for choice! 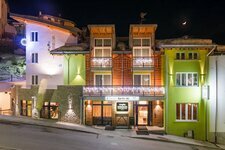 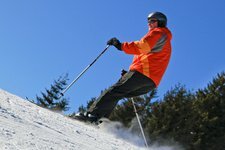 Children, families and senior skiers will love it! 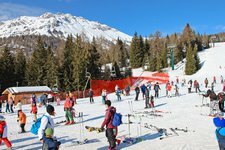 The family-friendly skiing area above Levico Terme is called Panarotta. 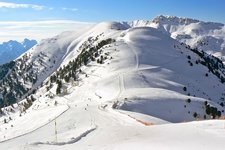 This skiing area is located at the elevated plain of Lavarone and Luserna. 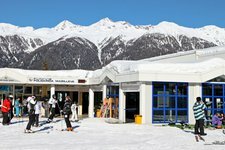 Pampeago, Predazzo and Obereggen are the main resorts of the skiing area. 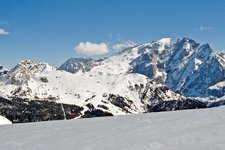 A small but mighty skiing area in the Val di Fiemme valley. 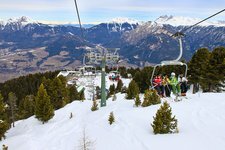 Modern lift facilities characterise this small but mighty skiing area. 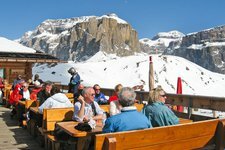 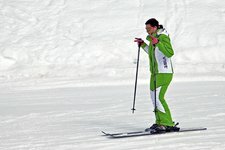 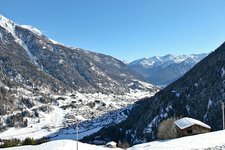 Pejo offers skiing in the heart of the popular Stelvio National Park. 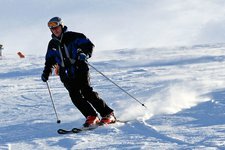 Skiing on the Presena Glacier between Vermiglio and Ponte di Legno. 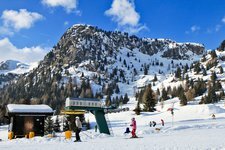 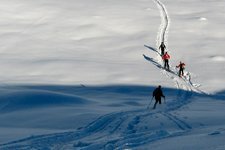 Skiing and fun for adults and children on the Monte Bondone near Trento. 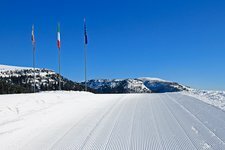 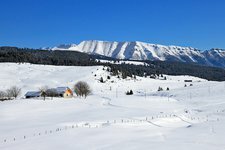 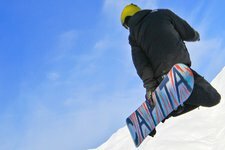 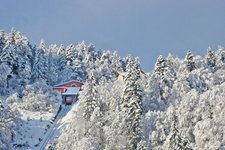 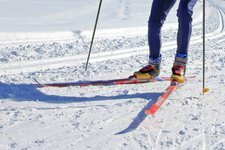 Bolbeno and Bondo: small winter sports centres. 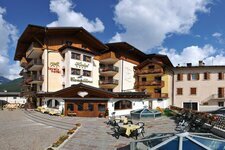 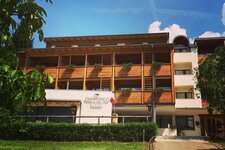 The eastern Valsugana ski paradise is surrounded by the amazing Lagorai mountain chain. 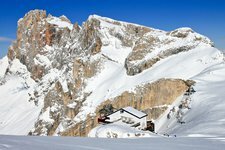 Skiing above lake Garda: the Monte Baldo skiing area.